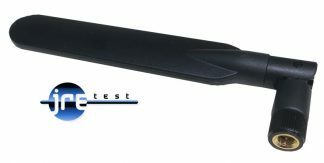 The JRE-211 utilizes a log periodic design to offer extremely wideband operation across many wireless bands. 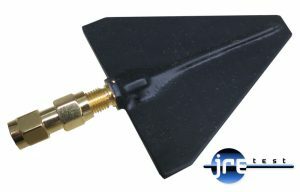 The antenna itself terminates in a female SMA and a male-male adapter is included to allow use as both a female or male termination. Using the male-male SMA adapter, one can easily connect this antenna to a female SMA bulkhead connector on any of the JRE Test I/O plates. It's reasonable match of better than 10-15 dB return loss offers repeatable reliable operation with a characteristic impedance of 50 ohms. 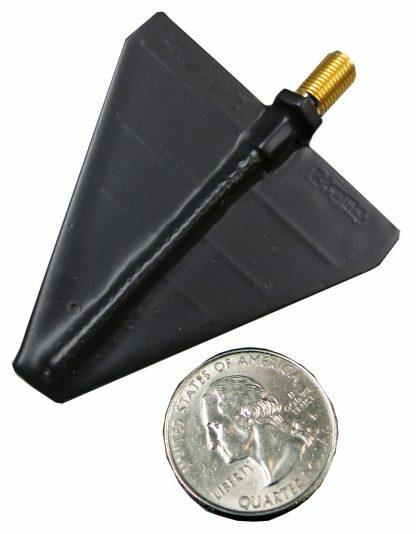 The antenna is easily mounted with a single hole in the enclosure wall or I/O plate using a female SMA bulkhead connector hardware to attach. 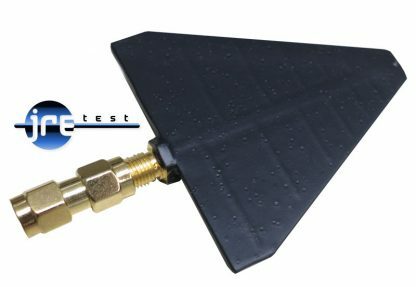 When the antenna is used within a test enclosure, it is operating in the ‘Near Field’ rather than out in free space. In the near field, the antenna’s E and H fields become distorted by nearby objects. These distortions will impact the E field or H field differently, depending upon the absorption or reflection characteristics of the object/environment. When the E and H fields are distorted like this, a proper electromagnetic wave front will not develop. If a proper wave front can develop (usually at a distance of 5 -10 wavelengths away) a radiation pattern of the antenna can be characterized. However, inside a typical JRE test enclosure at typical wireless device frequencies, there is simply not enough volume to have the antenna perform in the far field, thus the non characterization of the antennas radiation pattern. Of course, if the antenna is operated in a large area approaching 'free space' it will have the characteristic radiation pattern of a 3 element yagi antenna, which is consistent with accepted log periodic antenna operation.